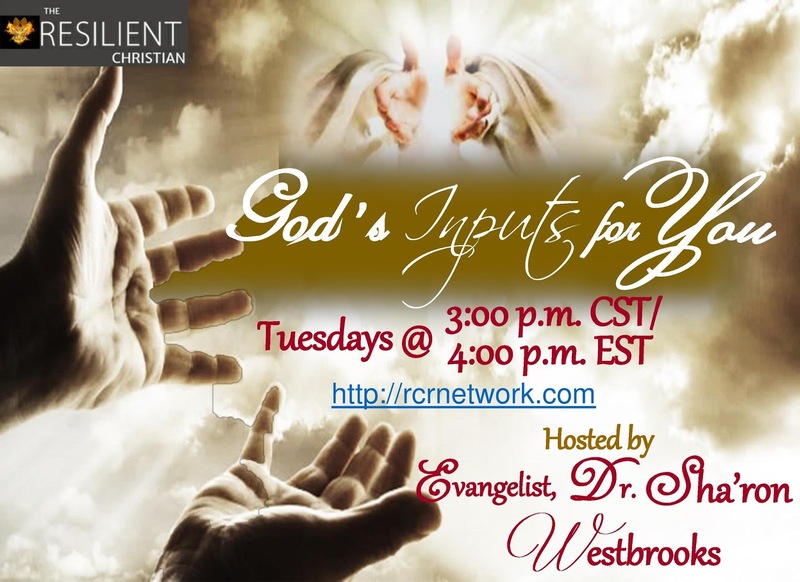 We will be on air today with our host Evangelist, Dr. Sha'ron Westbrooks from "God's Inputs for You". The topic will be “Living a Life of Reverence"
This idea of fear often confuses Christians, but it is a natural part of any significant relationship that we have. We don’t want to wrongly offend or lose a friend. Those things we most value are reflected—like a mirror image—in our fears. What do we fear? Illness? Financial hardship? Rejection? Poverty? Loneliness? Failure? To fear these things more than God means to regard pleasing them more than God. Finally, it means to obey them more than we obey God.